A first Champions League knockout tie win is usually a cause for celebration for managers. But for Mauricio Pochettino, his team’s advancement to the quarterfinals combined with Manchester United’s epic comeback and Real Madrid’s embarrassing loss have created a nightmare scenario for Pochettino. For several months, the current Spurs manager led the shortlist for both the Manchester United and Real Madrid manager positions, two of the most highly coveted in world football and both currently employing caretakers. Santi Solari is, on paper, the full-time manager in the Spanish capital, but only because Spanish football rules state clubs must appoint a full-time manager after a few weeks, meaning clubs can’t employ interim managers for months like the Red Devils have with Ole Gunnar Solskjaer in England. Solari was likely to see out the year until Los Blancos ultimately moved on to their real full-time manager, however after their humiliating 4-1 defeat at home, 5-3 on aggregate, to Ajax in the Champions League round of 16, that’s all changed. Madrid President Florentino Perez seems ready to sack Solari to appease enraged fans and do something rather than nothing. But Pochettino is not the front runner to take over. Instead, former managers Zinedine Zidane or Jose Mourinho could reportedly be appointed while Pochettino’s name isn’t even the mix. Meanwhile, Solskjaer and United became the first team in Champions League history to come back from a two-goal deficit on the road to win a knockout tie when they beat PSG. And after his team won at the Parc des Princes in dramatic fashion, Solskjaer moved into pole position for the full-time job according to reports. The Norwegian took over in December and has done everything under the sun to prove he’s the only man to manage United. In 17 games, the Red Devils have only lost once and drawn twice. Adding to that, United have a 100% record on the road. So where does that leave Pochettino now? On the outside looking in, he went from closing in on both jobs to barely on the radar. To add insult to injury, he also lost any leverage he had with penny-pinching Daniel Levy when it comes to money and transfers. Tottenham did not bring in one player over the last two transfer windows and have a net spend of -£28 million since the 2014/15 season putting Spurs right up there with Cardiff City, a team battling relegation. Despite spending half a billion pounds less than Manchester City, the most extravagant high rollers in England, Pochettino has Spurs performing at a high level. Daniel Levy can only deduce from this that Pochettino has an adequate squad and doesn’t need any more money or better players, something the Argentine manager eludes to time after time in interviews and public statements. And that, of course, means the two have discussed the manner countless times behind closed doors. 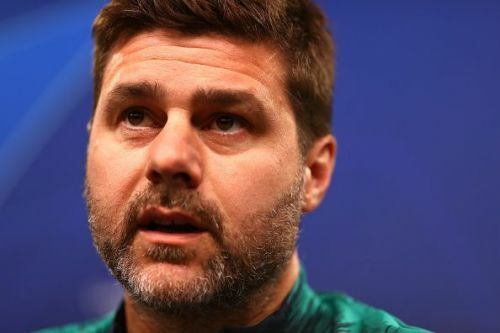 Before Spurs’ advancement past Borussia Dortmund this week, Pochettino could’ve used this as leverage in negotiations with the chairman, that if the club doesn’t spend more, he can’t win and will go north to Manchester or south to Madrid. Now though, Levy can see right past his manager’s best poker face and call his bluff because those two options are gone and his claim of needing more money carries no weight. Going into the second leg of the last 16, Solskjaer was about to get knocked out in Paris, Solari had a 2-1 lead and away goals coming home, and Spurs had to travel to Dortmund where the thought of them being “Spursy” and losing was not out of the realm of possibility. Two days later, Solskjaer is the only man Manchester United are considering, either Zidane or Mourinho will replace Solari, and Pochettino lost his best bargaining chip by winning. Everything that could go wrong did go wrong for Pochettino. BBC Sport - Should Gareth Bale return to the Premier League?